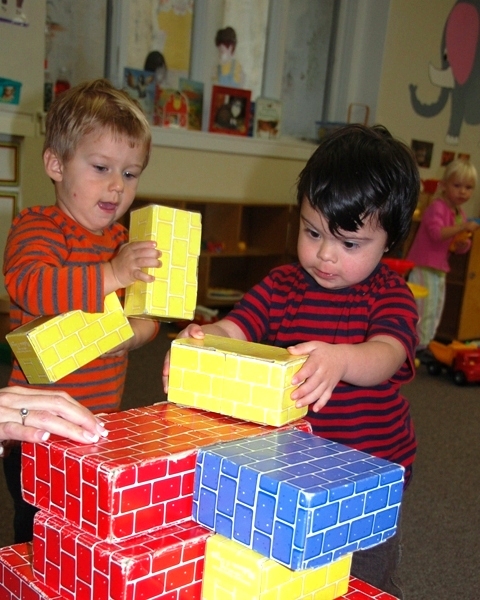 St. Mark's Toddler Playgroup is an inclusive playing and learning program for two-year-old children. 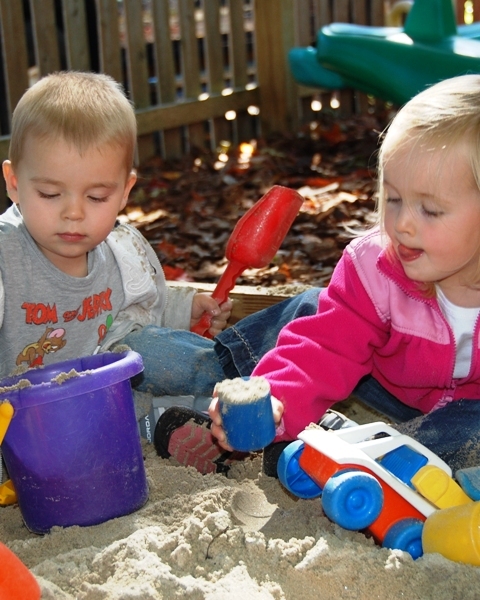 St. Mark's Toddler Playgroup is geared to children with typical development as well as children with special needs. The period of time between turning two and becoming three is an exciting age of tremendous growth, energy, and curiosity. 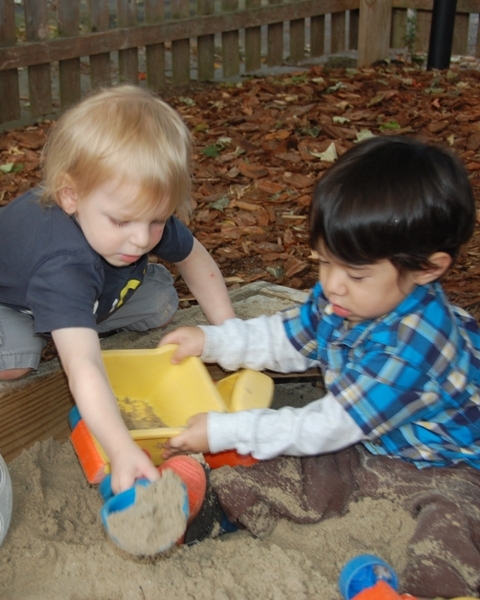 Since St. Mark's Toddler Playgroup was founded in 1987, we have believed that two-year-old children can benefit from a small, well-supported and carefully-designed playgroup that acknowledges those unique qualities. The Toddler Playgroup program is licensed by the State Department of Public Health. Professional support including occupational therapy, physical therapy, and speech support is often provided for children with special needs by the State of Connecticut through the Birth to Three System. You can learn more about the Connecticut Birth to Three System at WWW.Birth23.Org. Funding for the Toddler Playgroup comes primarily from tuition. Additional financial resources include United Way donations, grants, and private scholarship donations. St. Mark's Toddler Playgroup is a tax-exempt, non-profit, educational institution under Section 501(c)(3) of the United States Internal Revenue Code. The Toddler Playgroup has no religious affiliation, nor does religion play any part in our curriculum. There is a maximum of eight children in attendance at any one time, with three team members trained in child development guiding the interaction. Typically, four children are developing peers and four children receive Birth to Three or Early Intervention services. It has been found that all of the children benefit from an inclusive environment for early childhood development. Understanding and acceptance of differences and appreciation of the commonality of all children is gained through play and other interaction. 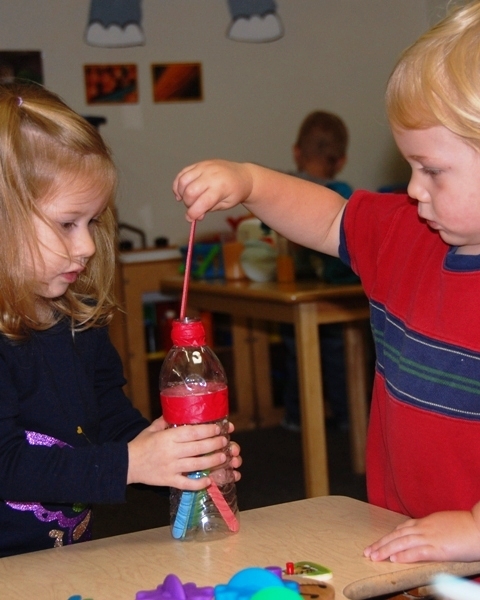 Free-choice time: Includes a variety of toys, sensory experiences, art, and dramatic / pretend play. 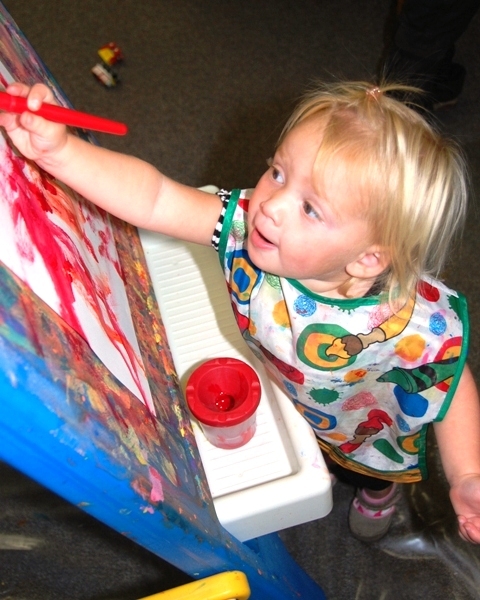 Small group activities: Involves art experiences, reading books, conversation, and taking turns during games. Snack time: Provides an opportunity for social interaction, language development, and self-management practice. 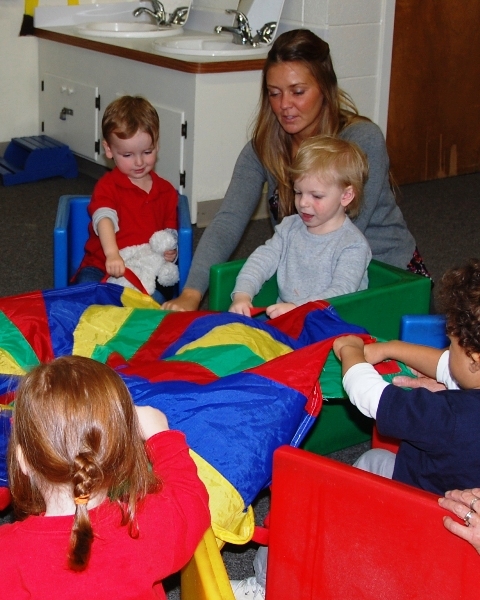 Group time: Offers circle activities, including singing, games, finger plays, stories, and movement. Outside play time: Incorporates gross motor play, including riding toys, push toys, ball play, games, climbing, and sand play. Lunch time: Offers another occasion for social, language, and self-help practice when children bring their lunch to the school environment. 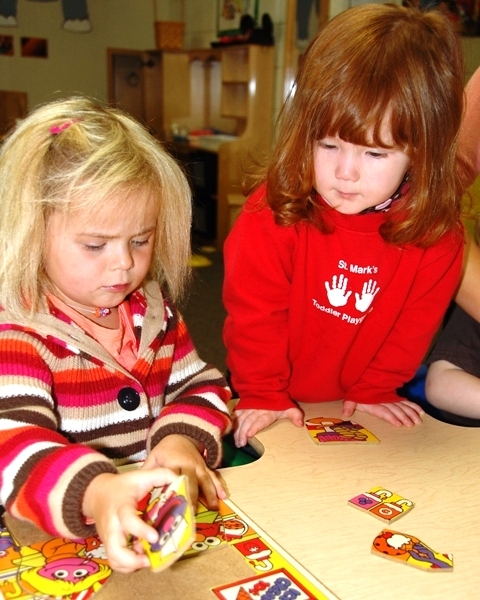 The St. Mark's Toddler Playgroup enrolls children for the academic year – September to June. To be eligible for the academic year, the children must turn two by the end of the calendar year. Children receiving Birth to Three services exit on their third birthday because they typically move on to their local public preschool. St. Mark's Toddler Playgroup also has openings that periodically become available in mid-session, when some of our students turn three and prepare to enter preschool. These openings are offered on a first-come, first-served basis, and require registration to our waiting list to determine eligibility. Since the number of children attending our program each day is limited, please join the waiting list as soon as possible to reserve your child's place in future sessions. A limited number of scholarships are available for eligible families. Please ask for an application. 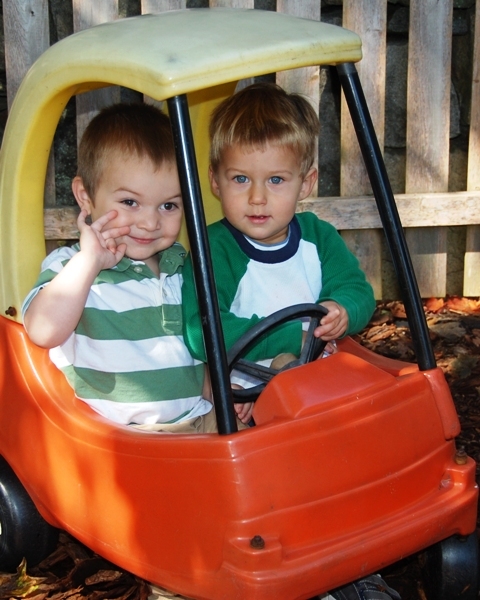 St. Mark's Toddler Playgroup is located in a quiet and picturesque historic neighborhood near the Mystic River in Mystic, Connecticut. We are housed in designated classroom space in the Education Wing of St. Mark's Episcopal Church. You can find us very easily on Pearl Street, just down the block and around the corner from Mystic Pizza. Please call us today at (860) 572-0749 to get on our waiting list and / or schedule a visit! Page version 5.10 1 September 2015 Copyright © 2012, 2015 Ernest Adams All rights reserved. The alphabet blocks are used under license from Can Stock Photo Inc.